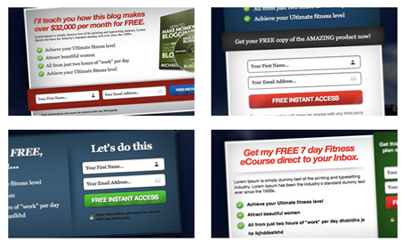 All Internet Marketers or Bloggers certainly know the importance of popups. A popup is a great tool for increasing subscription rate or generating leads and sales. Many Internet Marketers use popups to show announcements, logins, videos or optin forms. While these kind of popups can be added to our website or blogs using codes too but which is generally a hard task and may not give you desired designs or functionality, the innumerable number of popup plugins available for WordPress has made the task very easy for any WordPress Blogger. 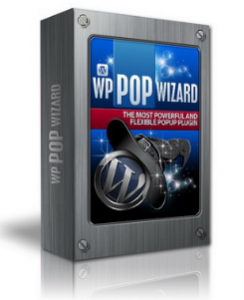 WordPress Pop Up Plugins most generally refer to plugins with add an optin pop-up to our blog. I have tried to list down some of the best WordPress Pop Up plugins so that you can compare each of the plugins and choose what fits you the most. WPSubscribers is an all in one plugin, which comes with several awesome features that can be used to build a effective email list. The best feature of this plugin is FaceBook integration, which allow the readers to subscribe with one click. Works on Non-WordPress Sites Too! Also Premium List Magnet is now offering a Free Lite version which allows you to insert top and bottom sliding optin/ad and one free slider template, so if you do not want to spend money to buy the Premium version you can try the Lite/Free version. 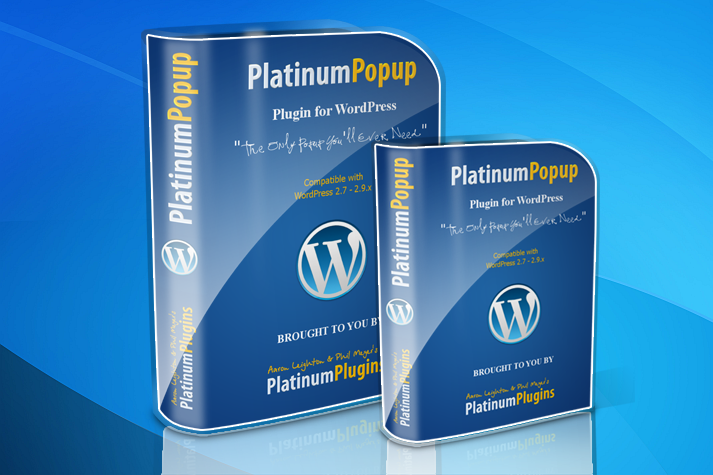 Platinum Popup is one of the cheapest available popup plugin out there for WordPress. It may be cheap but don’t be fooled, it does not compromise with features and is very powerful and has lot of features. 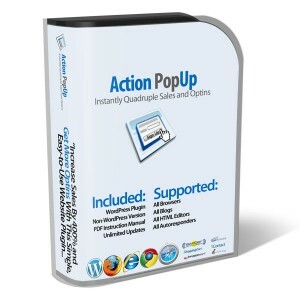 You can create an unlimited number of popups with this plugin. Although it does not have support for third part auto responders but it does allow you to insert any HTML code (even opt-in form code) in the WYSIWYG editor. WordPress Popup System embed customizable and unblockable DHTML popup windows and exit popups, optins etc. into your WordPress Blog. But this is not just a simple one page or post popup window creator, this is a system with many remarkable features. With this plugin you can create as many DHTML popup windows as desired, the settings for each of them are stored automatically in the database and can be called up and changed at any time. You can embed Aweber and GetResponse optin forms, videos (including YouTube, Transparent (pro-mode) Flash etc), images and any content desired. Price: 24.95 EUR which would convert to 35 Dollars. In the past, popups have been a double-edged sword. They’re an unmatched tool in the web-publisher’s arsenal, but many readers find them painfully obtrusive. Pippity sets a new bar by delivering beautiful popups in a way that’s more in tune with your readers and gives you useful analytics that show the true affect your opt-ins are having. Your list is a huge source of business, so it pays to get this right. With Pippity, it couldn’t be easier. $164 for Unlimited sites license with 1 year of support and updates. 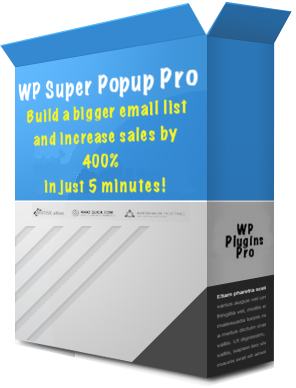 WordPress Simple Popup ++ is not a bloated product like others in the market it offers extensive features which can increase your email subscribers, sales, likes, profits, event members,signups by more than 120% without even annoying a single visitor. Now here come the real power Simple Popup is so easy to use that even a ten year child can pop your site, one page configuration allows you to configure your custom Popup in less than 30 seconds. Simple Popup is designed for professionals who need perfect products. You can use Simple Popup as a notification bar or as an affiliate product promoter or as RSS email subscriber form the possibilities are endless. Subscribers Magnet is a lot more than a simple popup plugin for WordPress. It pulls subscribers to your list at every possible encounter–when a user comments, with a popup, with a footer bar, and more. In this review I’ll focus on only one aspect, the popup. To use the popup, you first add the form HTML code of your autoresponder service in the Optin Form Adder screen. The plugin will scan the code to figure out the settings of your service and it will configure itself accordingly. Because you can easily add the opt-in form anywhere in your wordpress blog, including the sidebar, footer, within the post itself and even in the commentsIt is like “hitting” your visitors multiple times with your newsletter/offer, and reminding them about it, in a friendly, non intrusive manner. Because it works with AWeber, GetResponse, and all the other major autoresponders. Because it will automatically fill the visitors’ name/email in the opt-in form on your blog, saving them time and getting you more sign-ups! 1 Blog – $47 - You can install MaxBlogPress Subscribers Magnet in only one blog you personally own. 4 Blogs - $147 - You can install MaxBlogPress Subscribers Magnet in 4 blogs you personally own. 10 Blogs - $297 - You can install MaxBlogPress Subscribers Magnet in 10 blogs you personally own. Unlimited - $397 - You can use MaxBlogPress Subscribers Magnet in any number of blogs you personally own. WordPress Super Popup Pro will make you able to easily create and manage modal, beautiful and unblockable popups, exit popups or sliding layers which can be used for creating subscription forms or to promote your products in a more profitable way on your WordPress powered website. Real WYSIWYG: The popup content is not affected by the stylesheets of your blog: what you edit is EXACTLY what you will see inside the popup. wpOptimum Squeeze is a revolutionary new WordPress plugin that gives you the power to create killer squeeze pages and opt-in popups all through a simple point and click interface. There is no tweaking of the WordPress code to get your page templates to work and you don’t have to know anything about PHP. You can even customize your squeeze items with little or no knowledge of HTML or CSS – the easy customization screens make it a cinch. Using the same editor as WordPress uses for its Visual Editor, simply enter your content in the designated areas (main headline, sub headline, main content, opt-in header, opt-in footer). You can even place testimonial boxes , and bulleted lists, and images in your content area. Use Any WordPress Theme - One of the great features of WordPress is the ability – and the freedom – to alter your website’s look and feel by simply changing the site’s theme. Unfortunately, some of the existing squeeze page products are “theme” based and restrict you to using only their product as your theme. Not wpOptimum Squeeze. It’ll work with any theme you choose. Create “Content” Squeeze Pages In Additon To Popup Pages - Sometimes you’ll want to use a landing page as a “squeeze” page for opt-ins. Other times you’ll want to have a popup appear on your website’s posts or pages. Bottom line, you need a tool like wpOptimum Squeeze that will let you do both. Easily Integrate With Your Autoresponder - wpOptimum Squeeze has built-in support for Aweber, GetResponse, Constant Contact, iContact, and MailChimp. Other providers can easily be integrated with just a few form entries. Include Video Even In Popups - wpOptimum Squeeze has built-in support for .FLV, H.264, (Flash supported) MP4, and YouTube-hosted video. Videos from other hosting sites (Vimeo, Viddler, etc.) can be added with just a few mouse clicks. WP LightPop plugin creates a very “Web 2.0″ -like interface, where the screen itself is frozen, and a transparent black sheet (lightbox) covers all other areas of the screen and highlighting the pop-up message itself. With Light Pop you just write the page as you’d normally do in Dreamweaver or Frontpage, and paste the code into your WordPress dashboard. You can then adjust the pop-up settings and everything else is taken care of. Since you have enormous flexibility in terms of designing the page, you can create really stunning and effective marketing messages. Mow Pop is world’s first WordPress Popup Plugin with a Drag and Drop editor. Drag & drop interface, complete HTML customization and WYSIWYG, configure different pop-ups on different pages and more — this may be the new go-to hammer in the pop-up toolbox. Easy to use for newbies. Developers will appreciate the speed and versatility. Even includes simple A/B testing so you can test different versions against your conversion. Clearly was developed by people who have real-world website & client problems that need to be solved fast, and personally I find that refreshing. Great addition to the community, and this is only version 1.0. Simple Auto Delay Popup is a lightweight WordPress plugin for easily creating modal popup windows that automatically display after a certain amount of time, defined by you. Popup content can be the content of a page on your site or any other url. Usage is very straight forward and it’s very scalable. WordPress Popup Scheduler is A multi purpose popup scheduler that blog owner can use to deliver their message effectively to their readers. The WordPress Popup Scheduler plugin allow you to fully customize the way popup is shown on your blog. You can either place your message before the first post, or as a popup right in the middle of the screen. In addition, there is also the option to either show the popup in home page only or in every single page. MaxBlogPress Unblockable Popup is made by the same people who created the Subscribers Magnet, but this plugin only does popups.It is free but you have to sign up for their newsletter to download the plugin. You can control the frequency of the pop-up. For example, you can set it to only display one time for each visitor. Also you can select the color and size and also set the effect. Visitor is not logged in. Visitor has never commented here before. Visitor did not come from an internal page. Compatible with virtually any autoresponder service or mailing list software like Aweber, Get Response, 1ShoppingCart, Direct Responders and Free Autobot. Automatically pop up your opt-in form on the first page, all pages, or whichever pages you want! Your pop up operation can not be blocked by any browser! Ability to add an image, headline and mini description to draw in your visitors and make them subscribe to your list. A customizable marquee that displays an assigned post title linked to that actual post. A popup window using ShadowBox-JS or ThickBox that displays the title and content of an assigned announcement post. Scrolling down popup plugin create the popup window with drop in scrolling effect. It provides a Session option to display popup once per session. WPEmailFeedburnerPop is a plugin based on sexylightbox, with wich you could make your users suscriptions to your feedburner quickly and easy. Beside this WPEmailFeedburnerPop works as a lightbox tool for your images galleries. It is really hard to find the best Popup plugin from such a huge list, infact the decision more or less depends on your requirements. Almost all the above plugins provide popup features both the premium and the free ones but the premium plugins offer a lot of extra features and flexibility over the free ones. The most important advantage that the Premium plugins holds is that they are very professionally designed and thus is highly bound to attract the visitors attention and thus more conversions. The Free ones are at the most average designed and mostly buggy with little to no support. Some of my personal favorite from Premium plugins are WPSubscribers, Premium List Magnet And Popup Dominator. Although it is new, Pippity is also pretty good from whatever I have seen. From the free plugins, WP Popup Scheduler, WPMU Popup and FasterIM Opt-In are some recommended ones. With this I wrap up this extensive post about WordPress Popup Plugins. I hope this list comes of some help for you in your internet marketing and online business endeavors. P.S. – There is a great giveaway going on at the Traffic Generation Cafe Blog, your ultimate hub for all things web traffic, where you can win your own copy of the hottest plugin release of the year – CommentLuv Premium. Participating is very easy: just visit Ana’s CommentLuv Premium giveaway page for more information.